Wow, I'm so behind on my blog postings I'm not sure where to start! 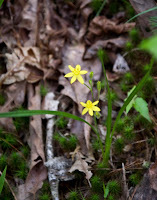 Well, I guess I'll start with my final spring wildflower hike for t he season that I led at Obed on May 1. I don't know what it is about that weekend, but it seems like it has rained before, during or after every hike I've led up there for 4 years. Obed is not especially blessed with numerous species of wildflowers like nearby Frozen Head SP. 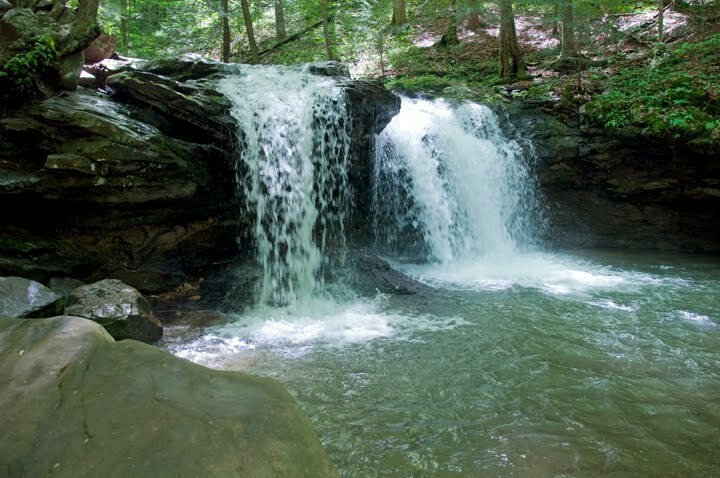 I led a 1-1/2 mile hike on a loop trail for 5 people. We saw Showy and Pink Lady's Slipper Orchids, a few violets, Yellow Star Grass, Fire Pink, Oil Nut (right) and 2-Flowered Cynthia. Just as we got back to the road at the campground the rain started. We had no idea what misery the weather was going to bring to the areas west of us later in the weekend! Our daughter lives in downtown Nashville. She called to tell us that it was raining very hard and the Cumberland River (which is 2 blocks from her apartment) was beginning to rise. Every time we talked to her for an update, the news just got worse and worse. She was fortunate enough to be high enough that her building was not flooded, although she still had to leave because of lack of water and air conditioning. I grew up in the Donelson area of Nashville, so I could relate to many of the areas that were affected. I was astounded at the damage that the Opryland Hotel suffered! I was last at the hotel during Christmas 2009 to photograph the Poinsettias in the Conservatory, that area is now under 10 feet of water! :( Oak Ridge got a couple of inches of rain, but nothing like the 13+" that the Nashville area suffered. 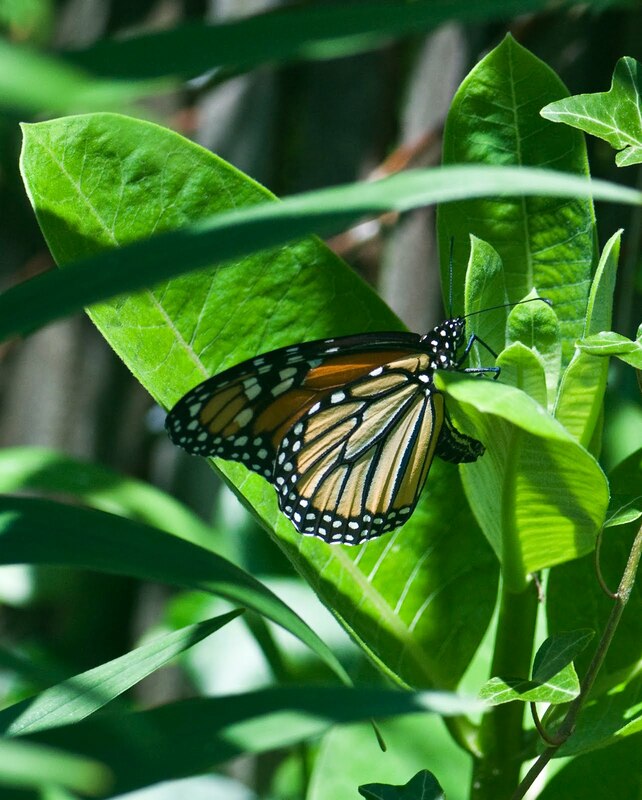 Another exciting event this week was the arrival of the Monarch butterflies! 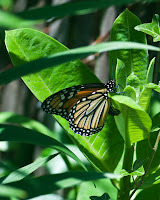 I was h appy to see a female checking out the milkweed in the garden. 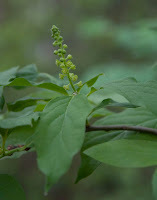 She flitted around testing the leaves with her feet before laying a single egg under each leaf. Butterflies tast e through their feet! A few minutes later, I was excited to find some eggs to photograph (left). 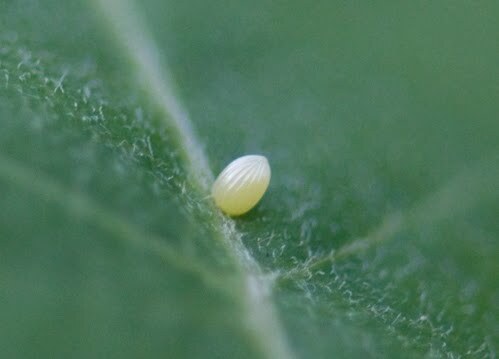 The eggs are quite tiny, perhaps 1mm, so they are a bit tricky to find. 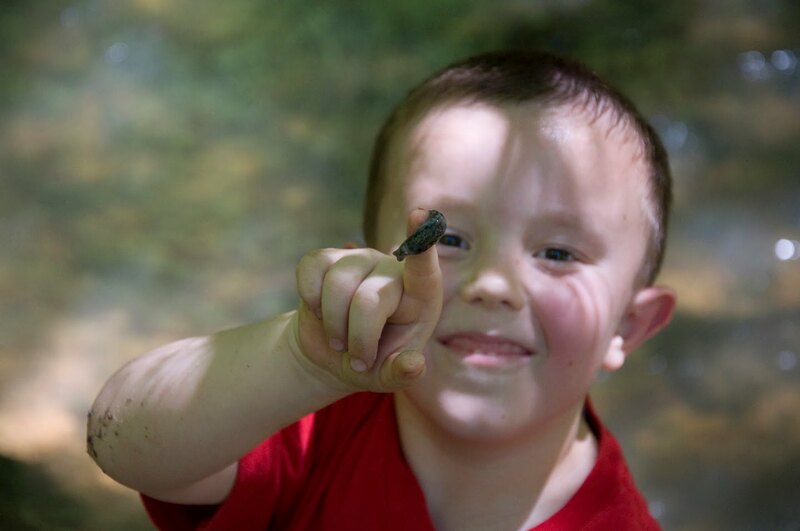 It will be fun to watch the caterpillars as they hatch and grow over the next couple of weeks. 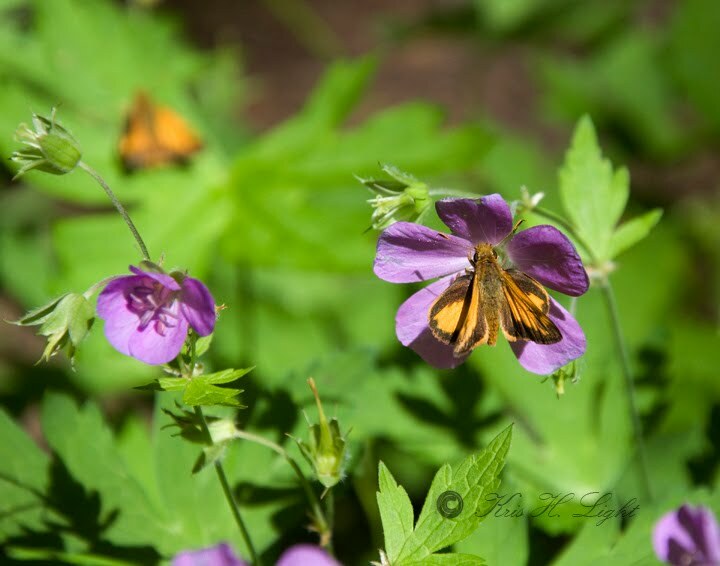 While I'm on the subject of butterflies, I photographed 3 new ones while I was at Frozen Head. 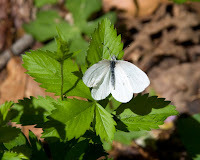 The first one was a West Virginia White (left), it looked very pretty against the pink Wild Geranium flowers (this one is on a Cinquefoil leaf). 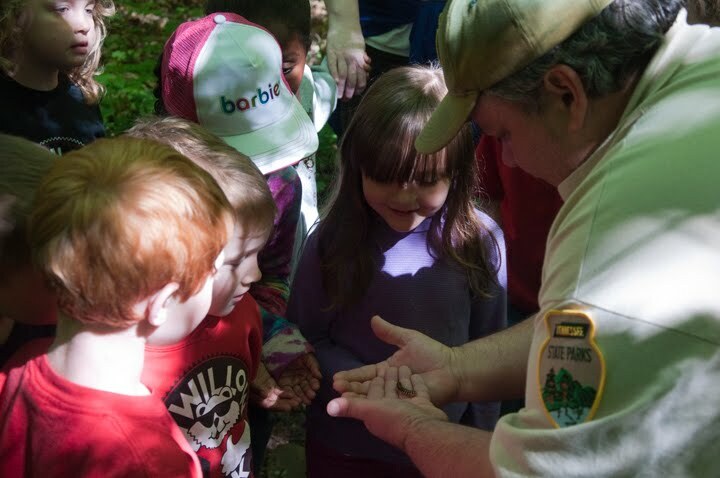 Frozen Head is a great place to look for butterflies , during the warm months it is common to see several different species. I also saw a couple of skippers. This male Zabulon Skipper (right) had very bright gold wings. I was able to identify this one by looking it up in my Audubon Butterfly guide, but the next one was not quite so easy. 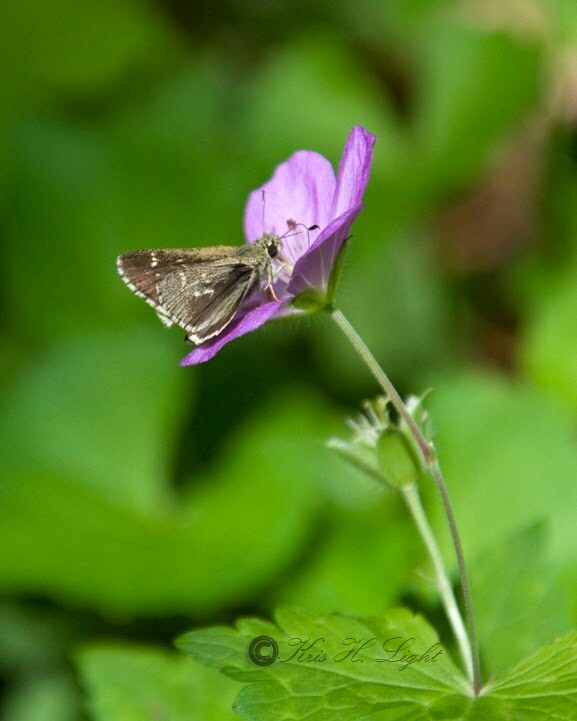 This little brown skipper is one of the " roadside" varieties. Thanks to the folks at the Tennessee chapter of BAMONA (Butterflies and Moths of North America), I was able to learn that this is a Pepper and Salt Skipper (left). One last thing, when I went to one of the rural east Knoxville elementary schools last week I watched a crow dive bomb and harass a poor hawk. The crow did not give up easily!